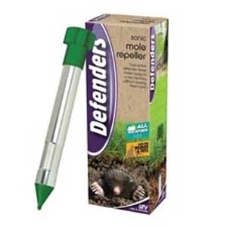 Sonic Mole Repeller. Battery powered 1000sqm coverage. Safe for wildlife and pets.